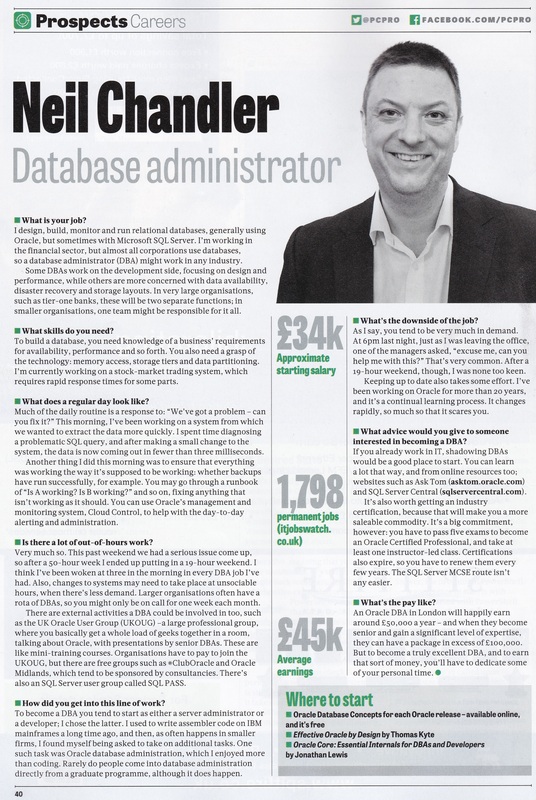 I was interviewed recently by UK publication PC Pro magazine for their regular series about IT Careers with regard to database administration (surprise!) The (somewhat abridged!) 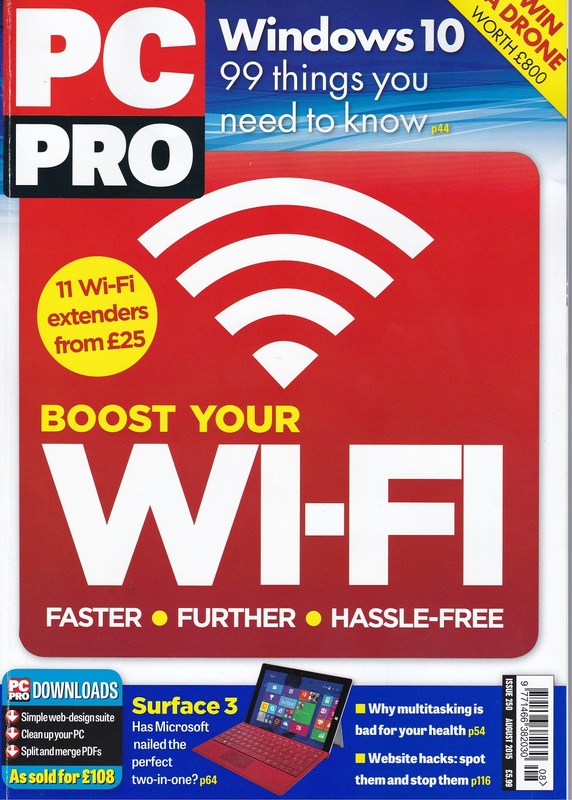 interview has just appeared in the August 2015 edition of the magazine. I cannot link to the on-line version of the article so here’s my hopefully readable cropped photograph of it. I’ve been ill? 😀 I’m certainly less thin now.